KLM UK Engineering Limited, a maintenance repair organisation of AFIKLM E&M Network in the United Kingdom, has implemented Nedap’s Luxon light management platform, allowing KLM UK Engineering Limited to manage its new hangar lighting online. The use of connected LED lighting will result in significant energy savings, which is completely in line with the company‘s sustainability goals. Peter Mahoney, Finance Director of KLM UK Engineering Limited: “Luxon gives us complete control over our lighting. It offers the flexibility to easily tailor the lighting to various activities in the hangars. For example, if there is only one aircraft in a hangar we dim the other bay. Nedap‘s Luxon platform ensures that our people can work even more efficiently and safely." 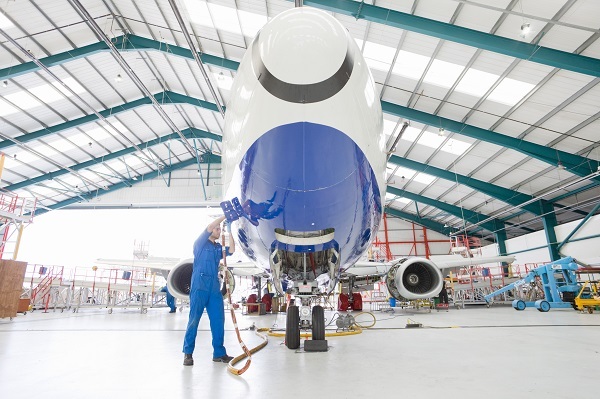 KLM UK Engineering Limited is aiming to reduce its environmental footprint by optimising business processes where possible. Nedap’s light management platform reduces the energy consumption of LED by half. Mahoney: "Lighting may not be the first thing you think of in terms of sustainability goals, but using the right system can actually have a big impact. Using this intelligent system can result in significant energy savings, now and in the future, which also gives us a significant financial benefit."